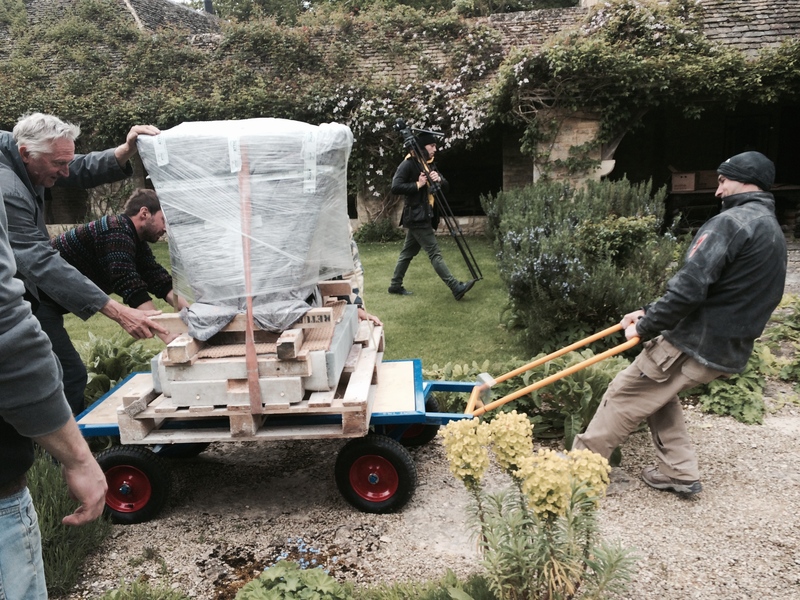 By any means - on form | sculpture: the showcase for contemporary sculpture in stone at Asthall Manor, Oxfordshire. With just weeks to go before the opening of on form 2014, the majority of sculptures have now been installed. The gardens of Asthall Manor are a busy hub of curators, artists and gardeners. 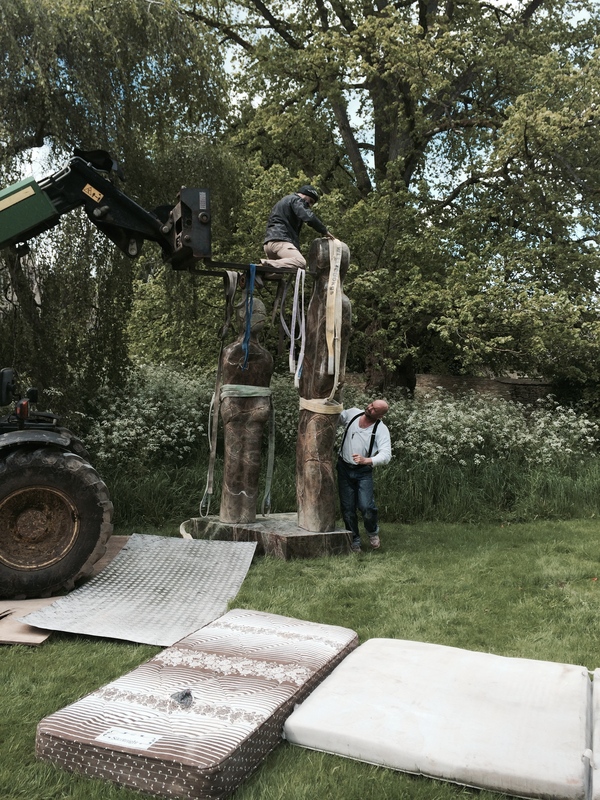 Placing sculpture is something we take great pride in at on form; however when it comes to installation, it can be a logistical nightmare! 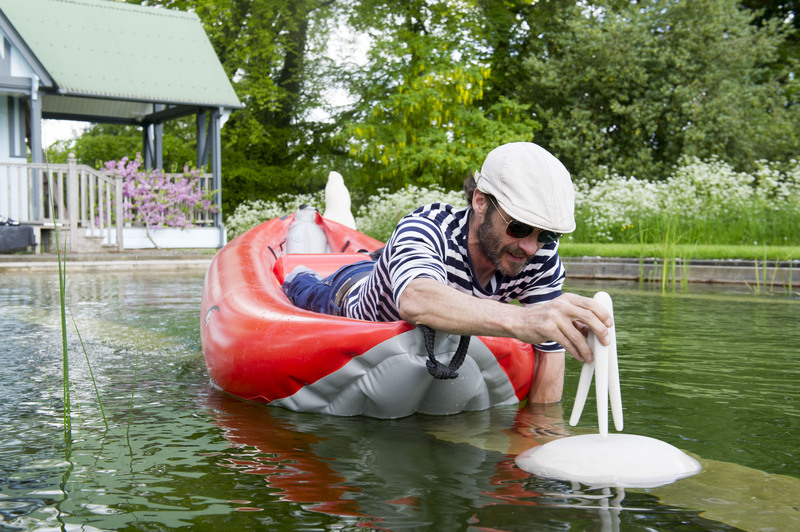 Whether it be a two tonne work of art or floating stones, each sculpture brings its own practical challenge.